Through my three years of blogging, I have never been that person to blog every day. 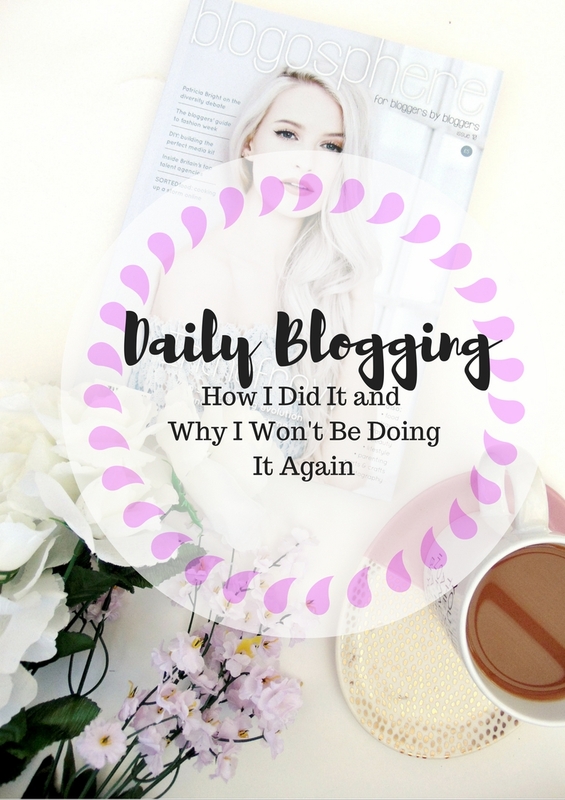 I’ve always been consistent and I’ve very rarely taken more than a week off, however, due to various factors, full-time work and studying for exams, daily blogging seemed out of my reach. I decided to set myself a challenge. I wanted to blog every day for a week to see what difference it would make to my stats and to see if I set my mind to it I could do it. I was recently inspired by InTheFrow's interview in Blogosphere magazine, she daily blogged for two years whilst successfully completing her PHD and working full time. If she can blog for two years daily, then surely I can do a week? A week may not seem a lot for some, but being someone who hasn’t blog two days in a row, I wanted to put everything into it. So, how did I get on? After three years of blogging, I am still full of ideas and I normally dedicate my entire Sunday to drafting posts, taking pictures and social. Although I had so many ideas noted down and drafts written out, in the week I lacked the motivation to turn these bits of writing into something substantial. I wanted to up my game and start posting more regularly than once a week. I purchased a new layout and fancied up my blog a bit to help it look more professional and sleek. With this upgrade, came lots of inspiration and motivation to make my blog the best it can be. I wanted to challenge myself not only for my blog's sake but my own too. I hoped I would prove to myself that I could do it and essentially, carry through that motivation for the next few months. I knew a few days in advance that I wanted to try daily blogging. Firstly, I planned what posts I wanted to write and scheduled them for a specific day. I took all the photos for these said posts at the weekend and I had a few lifestyle photos already taken of a blogging event and a small holiday. Writing is what takes a huge chunk of my time because I always want it to be perfect. I’ll re-write sentences constantly and proofread like crazy (although, I still let mistakes slip through). I knew that I wouldn’t feel like writing when I got home from work, therefore I tried to use my time more wisely. I have the Evernote app on my phone and it is beyond perfect for writing on the go. As long as you also have Evernote downloaded on your computer, everything you write on the go will sync to your computer. It takes me around 40 minutes on public transport to get to and from work on a daily basis, therefore rather than endlessly scrolling through twitter like a zombie on my commute, I drafted up posts or scheduled tweets. The time is precious and I completely took advantage of my commute. As much as I wanted to daily blog, I also wanted to keep my social up too. I am putting a lot of effort into building a Pinterest and Instagram following at the moment, so I didn’t want to let that slip with my attention elsewhere. 08:30 – 09:10 – Schedule tweets for the day using Buffer and if time, start drafting a post. 12:30 - 13:30 – On my lunch time I continuing drafting up the post for the next day. 17:30 – 18:10 – My commute home I get a little bit lazy, I’d write down new post ideas, post and engage on Instagram or pin at least 20 new pins on Pinterest. I know that ‘quality over quantity’ is a well-known saying in the blogging world, but why can’t it be both? I always aim to write quality posts and I wouldn’t publish them if I thought they were not good enough for my blog. I still wanted to create posts that had a purpose, that was helpful and people enjoyed reading as well as there being some consistency and I think I achieved that. Page views – As you might imagine, my blog page views almost tripled (sometimes quadrupled) my daily average. Blogging daily brings traffic as bloglovin updates, people will be more often visiting your blog. To put my full effort in, I scheduled tweets for every day of the week so my twitter profile was constantly updated with the new content. Individual blog post views, however, were a different story. Some posts gained lots of views and interest, however, there were others which were low compared to others in the same series (What I've Been Reading & Little Things). These posts normally do quite well, however as I had so much content going out, these posts were overlooked in the bloglovin feed. 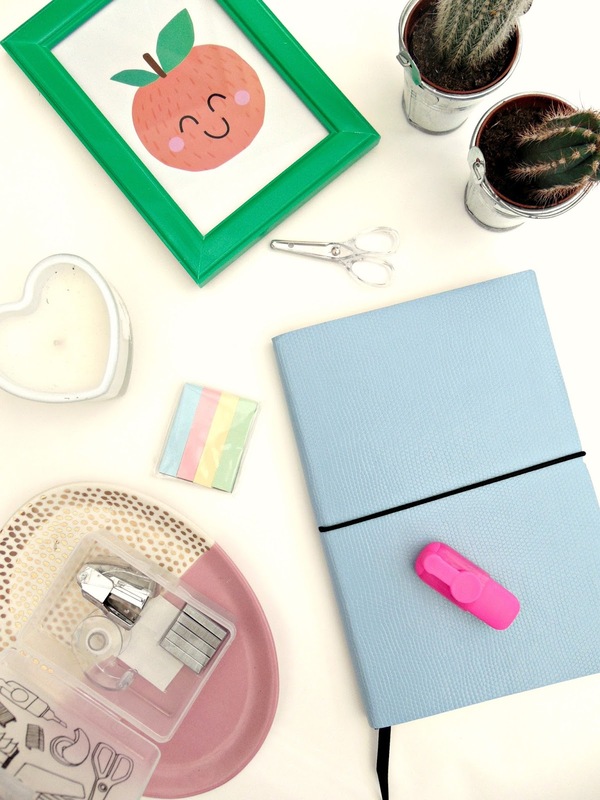 Followers – I also saw a gentle increase in a number of bloglovin followers I gained in the week. This was more than the average of previous weeks, however, I assume that this is a combination of scheduled tweets and more frequent blogging. Engagement – Engagement has been tough recently. I could spend hours on a post and struggle to get one comment. However, I found that every post I churned out this week had at least one. Some posts really took off, such as my blog event and Autumn Lipsticks post as I received a lot more blog comments than normal. I really value engagement for a number reasons. It’s great to know that people enjoyed your post enough to comment, but also if brands are potentially looking at working with you, engagement is a huge thing for them, therefore for both these reasons, I was happy to see that this increased. It was exhausting at the time and I thought I would be looking forward having a few days off and post once or twice a week again, however, this isn’t the case at all. Strangely, I’ve got more motivation than ever before, more ideas and inspiration than I had previous to daily blogging. Knowing the power of scheduling and using my time wisely, I am still using my commutes and lunchtimes to blog every day (but not publish) and I feel the need to create longer, more informative posts than ever (we’re way over 1000 words and counting here). Will I be doing it again anytime soon? Erm.. no. I won’t be daily blogging again anytime soon. I definitely enjoyed it and I’m happy to know that I could probably do it every day if I wanted to, but I don’t. Somedays I want to re-watch old episodes of RuPaul with a big bowl of cheesy pasta without thinking in the back of my mind I need to get a post out. I was a little stressed, especially in the evenings when I wanted to relax, but I knew I had a post to proofread and photographs to edit. One huge disadvantage I found with daily blogging was that it left me with no time to enjoy other people’s blog or engage. I spent so much time focusing on my blog, that I missed out on pretty much every twitter chat, I hardly commented on anyone's blog or had the time to catch up on my favourites latest posts. I was completely out of the loop. I enjoy blogging, but I enjoy engaging with other people too. I felt like I isolated myself slightly as I was so desperate to reach my goal, that I was unaware of anything else. After this week, I will be setting up a schedule. I will be posting on Sunday's, Wednesday's and Friday's, with no theme of what each will be. Blogging every few days will give me enough time to plan and schedule without a feeling of urgency or stress creeping up upon me. I want to be consistent, but I also want to enjoy other aspects of blogging too. I love blogging and I wish I could daily blog. Hats off to anyone reading this who does! You have serious skills.